Ensuring adequate institutional capacity and efficient coordination is essential for the realization of the right to social security. Without adequate capacities and resources, it is impossible for any public administration to respect the principles of a rights-based approach. This includes well-trained staff, transparent and effective rules and procedures, appropriate accountability mechanisms, as well as effective coordination mechanisms to ensure the coherent and efficient delivery of social protection. 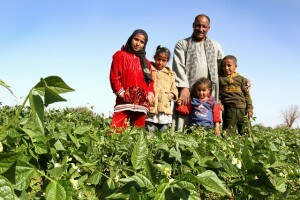 Photo credit: “Green bean farmer in Asawn” by USAID Egypt (CCBY 2.0 via Flickr).